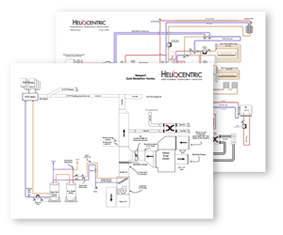 Heliocentric designs high performance HVAC systems and does systems contracting and installation in the Salt Lake City, Park City, and greater Utah area. 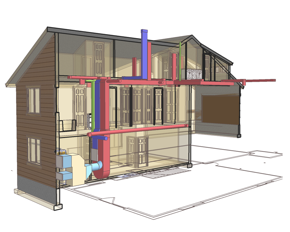 We provide an integrated approach to HVAC design, bringing together an optimized mix of passive, semi-passive, and mechanical solutions that meet the unique needs of each project. 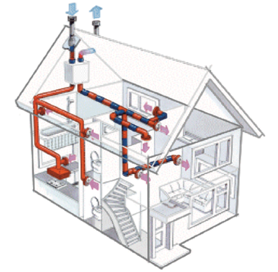 By approaching whole-house energy design as a system, we can provide “deep green” HVAC solutions, with extraordinary comfort, at an affordable cost. Heliocentric engineers cutting-edge architectural solar features and low-energy heating and cooling systems. Forced air heating and cooling systems are so commonplace their design is often overlooked in residential applications — and as a result they usually underperform. Heliocentric can design efficient air systems, distribution and ventilation that meets the needs of high performance homes and buildings.